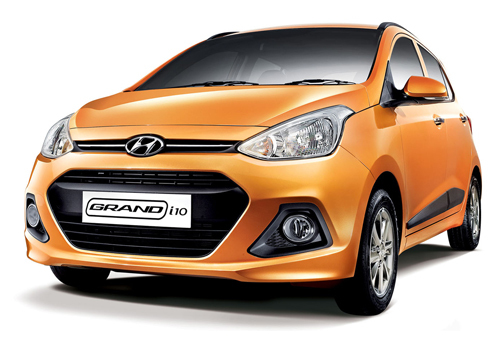 Hyundai Motor India Limited (HMIL), the country’s largest exporter and the second-largest car manufacturer; celebrating the first anniversary of Grand i10, today introduced its ‘SportZ Edition’. Launched in September 2013, Grand has over 1.1 lakh happy owners in India and has won the prestigious Indian Car of the Year (ICOTY 2014) and numerous awards. The Grand ‘SportZ Edition’ comes with a host of sporty and high-tech features like 14”Diamond cut Alloy wheels, blue tooth connectivity, steering mounted audio and Bluetooth controls, leather wrap on steering wheel, rear spoiler, B-Pillar blackout along with body graphics. Moreover, the interiors of the car have been further enhanced with premium full cloth upholstery and crafted in tones of red. The SportZ variant comes with the highly advanced and frugal 2nd generation U2 1.1 litreCRDi diesel engine which offers a combination of optimum performance along with best-in-class fuel efficiency of 24 kmpl (ARAI figure). Also the highly acclaimed all-aluminum 1.2 litre Kappa petrol engine comes with Dual VTVT technology and best-in-class mileage of 18.9 kmpl (ARAI figure). 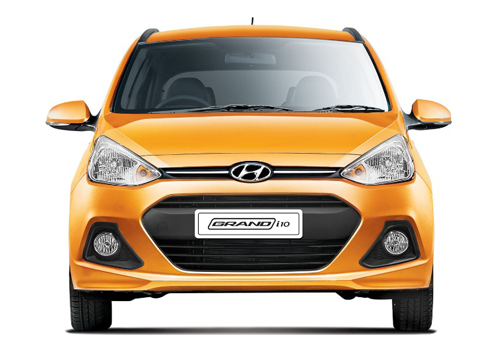 Read complete review of Hyundai Grand i10 by clicking here.